USB Mail Alert for Laptops! Previously, we get mails or letters manually and after the introduction of emails, we have no alerts that we got a mail. Recently smart phones overcame that problem as we are getting mail alerts in the device itself. What if we can get mail alerts for our laptops? Google mail (GMail) has a mail alert feature that was introduced recently called as 'Desktop Notifications'. That means if we are away from gmail window, we get a pop up notification stating that a mail has come. Apart from this, a new gadget has arrived that will alerts you when a new mail is arrived. 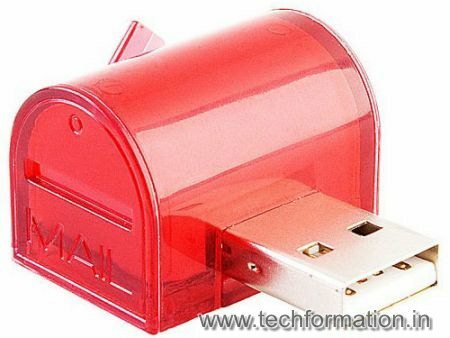 It is a simple USB device that resembles a mail box which has LED light in it. 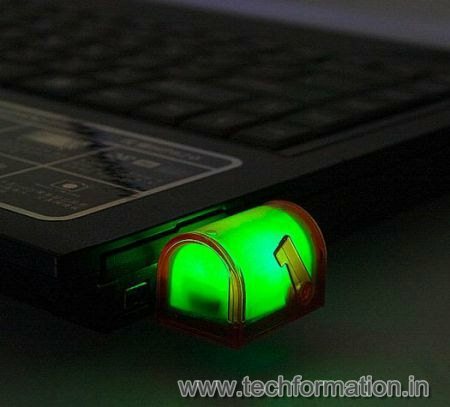 It can be plugged in to your Laptop's USB port and when ever any mail or notification arrive, it just blinks for a while alerting you.